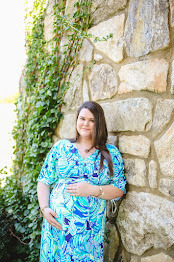 Since I've got tons of new stuff going on with the blog (my first Wedding Wednesday post going up last week!) 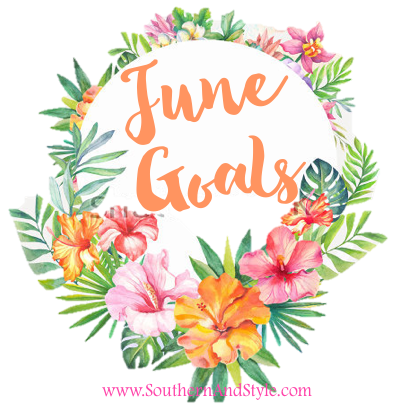 I decided that I'll be sharing my June Goals today instead of a Ten on Tuesday. Those aren't going away forever, I just wanted to vary my posts a little bit and give y'all some different content! I'm just going to be honest-my May goals were an absolute fail. I totally overestimated how much spare time I would have (I seemed to think there would be more May after school ended than there really was.) But I want to be totally transparent, so we're going to discuss my failures here & then see where I'm heading with June goals! -Write thank-you notes to four individuals who have positively impacted my life in the past year; there's nothing quite like a handwritten note to convey true meaning. I haven't written the thank-you notes yet, but I'm going to add that to June's goals because it needs to be done! -Create a Shutterfly book of our wedding photos (finally!) Still haven't done this either, so it's going to spill over to June too because I have a coupon that I need to use! -Research and plan for the New Orleans trip! I have pre-planned as much as I absolutely can until we can book things-that's the only problem with being a farmer's wife, it's so hard to plan vacations! -Finally repurpose the vintage windows that have been hanging out in our garage I haven't done anything with those darn windows yet, but I have a really clear vision of what I want to do with them! -Read at least one book I killed this goal, I read almost three books in the month of May & will be sharing reviews soon. -Grow the instagram following to 1,000 (if you would like to help the cause, you can follow me @SouthernAndStyle ;) I am stuck at around 850 on instagram and cannot seem to get past that point even though I'm engaging and working hard on my content. Does anyone have any tips? -Have a fun month celebrating birthdays for myself, my mama, my sister, as well as Father's Day! -I just got a FitBit as an anniversary gift, so I want to consistently hit my step goals for this month! Hopefully now that I'm not working for the summer (except on the farm!) I'll be able to really tackle a lot of those to-do's! Let me know down below what your goals are for the month of June, if you're setting any. I LOVE that you write hand written thank you notes to people who have helped you. I love getting them in the mail and keep them forever and they always help me when I'm having a crappy day! Yes girl, you're killing it! Don't worry about the few goals you missed in May either. We all overestimate our free time every now and then. You'll get it all done! :) Great goals! Ah! The FitBit step chronicles. I swear I tried so hard to get a certain number when I first got mine, but lately I've just been slacking off. Hopefully it works out better for you. I've also been trying really hard to work on my Instagram recently. I've been putting in extra effort into each photo, trying to make them all clear, crisp and pleasing to the eye. I'm actually quite happy with my theme at the moment, I just need to get others to look at it! You go girl! Keep pushing forward and you will get there! I bombed om my goals too haha, but I know we'll both get ours done for June! Also, if you need any help when you're planning your trip to NOLA, let me know! I live really close! Good luck with your goals! A major goal of mine this month is to be productive and cross off a bunch of items that have been sitting on my to-do list. I have always wanted to create a photo book of my recipes and stuff. I need to try to do that this year. Hand written thank you notes are the only way to go! So much more sincere I feel! I LOVE my Fitbit! Mine is currently flat, but I have a goal to hit my step goal too! Let's do this! Thank you notes are so cute and thoughtful!